Ubuntu is a popular choice for Virtual Machines running on Microsoft Azure and Hyper-V. Yesterday Microsoft and Canonical that they will provide an Azure Tailored Kernel for Ubuntu. 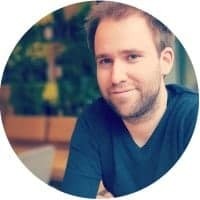 Microsoft and Canonical were already working on a lot of projects together, like Linux Containers on Windows using Docker, or the Windows Subsystem for Linux. 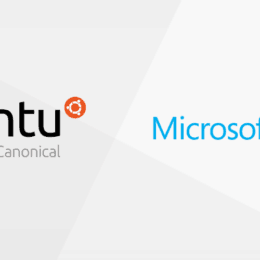 Canonical, with the team at Microsoft Azure, are now delighted to announce that as of September 21, 2017, Ubuntu Cloud Images for Ubuntu 16.04 LTS on Azure have been enabled with a new Azure tailored Ubuntu kernel by default. The Azure tailored Ubuntu kernel will receive the same level of support and security maintenance as all supported Ubuntu kernels for the duration of the Ubuntu 16.04 LTS support life. Infiniband and RDMAcapability for Azure HPC to deliver optimized performance of compute intensive workloads on Azure A8, A9, H-series, and NC24r. Full support for Accelerated Networking in Azure. Direct access to the PCI device provides gains in overall network performance offering the highest throughput and lowest latency for guests in Azure. Transparent SR-IOV eliminates configuration steps for bonding network devices. Canonical and Microsoft also promise to work close in the future to deliver more new feature. As we continue to collaborate closely with various Microsoft teams on public cloud, private cloud, containers and services, you can expect further boosts in performance, simplification of operations at scale, and enablement of new innovations and technologies. Really looking forward how this works. Also funny to see the comments on the Tweet from the @Ubuntu on twitter, which shows how many people live in the old world. At the Microsoft Build Conference this year, Microsoft announced Nested Virtualization for Azure Virtual Machines, and last week Microsoft announced the availability of these Azure VMs, which support Nested Virtualization. Nested Virtualization basically allows you to run a Hypervisor in side a Virtual Machine running on a Hypervisor, which means you can run Hyper-V within a Hyper-V Virtual Machine or within a Azure Virtual Machine, kind a like Inception for Virtual Machines. D2-64 v3 instances are the latest generation of General Purpose Instances. D2-64 v3 instances are based on the 2.3 GHz Intel XEON ® E5-2673 v4 (Broadwell) processor and can achieve 3.5GHz with Intel Turbo Boost Technology 2.0. 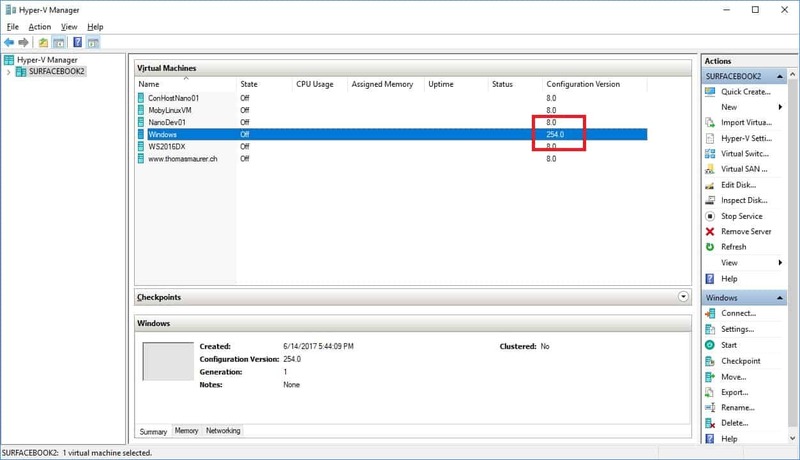 D2-64 v3 instances offer the combination of CPU, memory, and local disk for most production workloads. E2-64 v3 instances are the latest generation of Memory Optimized Instances. E2-64 v3 instances are based on the 2.3 GHz Intel XEON ® E5-2673 v4 (Broadwell) processor and can achieve 3.5GHz with Intel Turbo Boost Technology 2.0. E2-64 v3 instances are ideal for memory-intensive enterprise applications. With the upgrade to new Intel Broadwell processors, Microsoft enabled Nested Virtualization, which will allows a couple of different scenarios, when you create a Virtual Machine running Windows Server 2016 or Windows Server 2019. 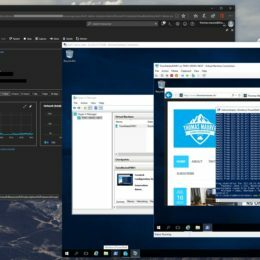 You can run Hyper-V Containers (Windows Containers with additional isolation) inside an Azure VM. With future releases we will also be able to run Linux Containers in Hyper-V Containers running on a Windows Server OS. 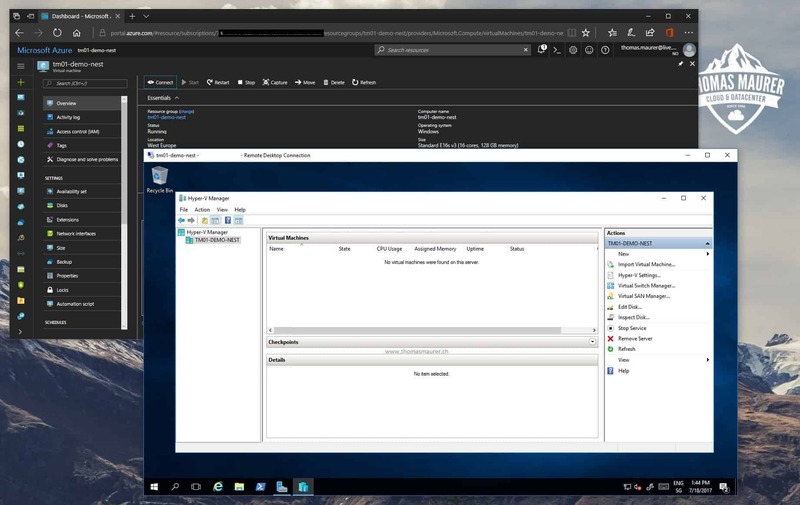 To setup Nested Virtualization inside an Azure Virtual Machine, you first need to create a new Virtual Machines using one of the new instance sizes like Ev3 or Dv3 and Windows Server 2016.I also recommend to install all the latest Windows Server patches to the system. This step is optional, but if you want to better performance and more storage for your Nested Virtual Machines to run on, this makes sense. In my case I attached 2 additional data disks to the Azure VM. Of course you can choose more or different sizes. Now you can see 2 new data disk inside your Azure Virtual Machine. 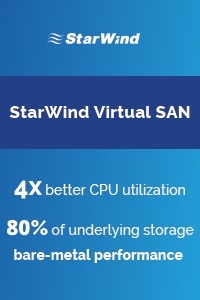 Do not format them, because we gonna create a new storage spaces pool and a simple virtual disk, so we get the performance form both disks at the same time. In the past this was called disk striping. With that you can create a new Storage Spaces Storage Pool and a new Virtual Disk inside the VM using the storage layout “Simple” which basically configures it as striping. I also formatted the disk and set the drive letter to V:, this will be the volume where I will place my nested virtual machines. 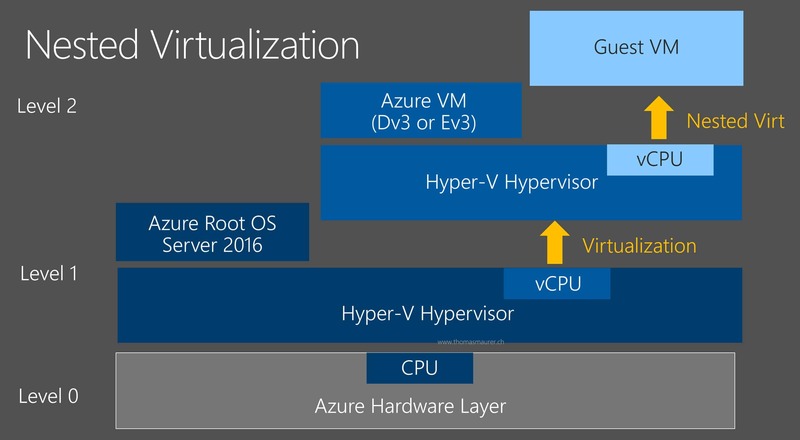 The next step would be to install the Hyper-V role in your Azure Virtual Machine. 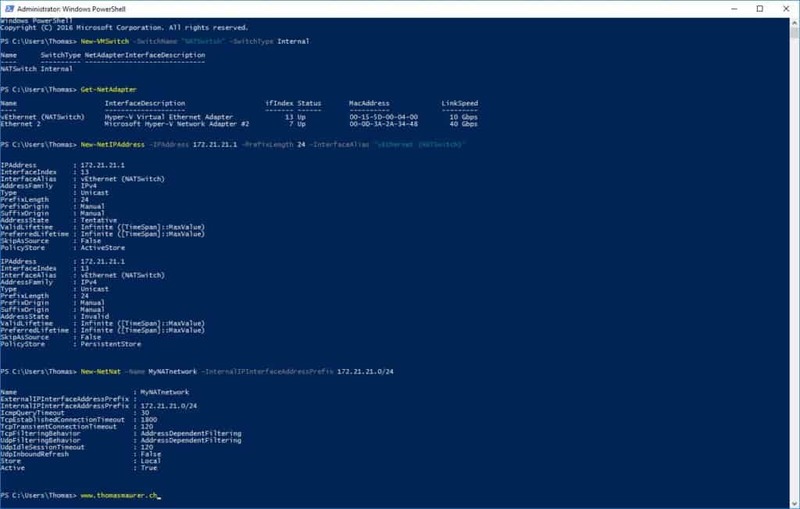 You can use PowerShell to do this since this is a regular Windows Server 2016.This command will install Hyper-V and restart the virtual machine. 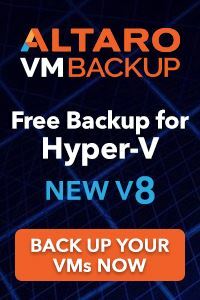 After the installation you have Hyper-V installed and enabled inside your Azure Virtual Machine, now you need to configure the networking for the Hyper-V virtual machines. For this we will use NAT networking. 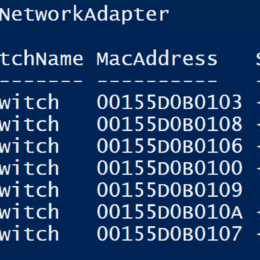 The Internal Hyper-V VM Switch creates a virtual network adapter on the host (Azure Virtual Machine), this network adapter will be used for the NAT Gateway. Configure the NAT gateway IP Address using New-NetIPAddress cmdlet. Now you can use these IP Addresses to assign this to the nested virtual machines. You can also setup a DHCP server in one of the nested VMs to assign IP addresses automatically to new VMs. Since I have created an extra volume for my nested virtual machines, I configure this as the default path for Virtual Machines and Virtual Hard Disks. Now you can basically start to create Virtual Machines inside the Azure VM. You can for example use an existing VHD/VHDX or create a new VM using an ISO file as you would do on a hardware Hyper-V host. There is a lot more you could do, not all of it makes sense for everyone, but it could help in some cases. Running Azure Stack Development Kit – Yes Microsoft released the Azure Stack Development Kit, you could use a large enough Azure virtual machine and run it in there. Configure Hyper-V Replica and replicate Hyper-V VMs to your Azure VM running Hyper-V. 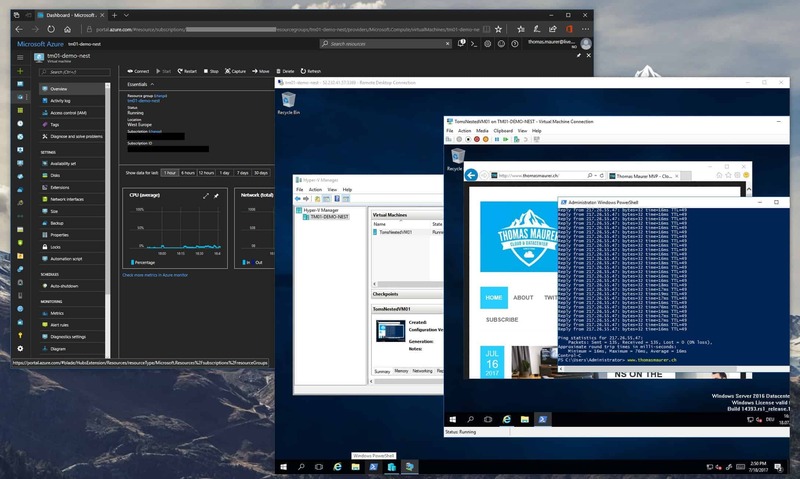 In my opinion Nested Virtualization is mostly help full if you run Hyper-V Containers, but it also works great, if you want to run some Virtual Machines inside a Azure VM, for example to run a lab or test something. Last week Microsoft announced Windows 10 Insider Preview build 16215 which added a lot of new features to Windows 10. 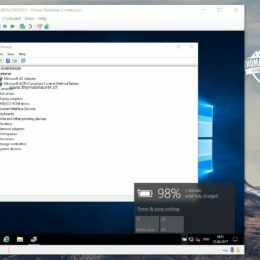 With Windows 8 Microsoft brought Hyper-V to the Windows Client Operating System, and with the Windows 10 Insider Program we can also see some Hyper-V preview features coming to live. Previously we could see feature like Nested Virtualization and more in the Windows client builds before we seen them in the server releases. With Windows 10 Insider Preview build 16215, Hyper-V gets virtual battery support, which means you can now see your machine’s battery state in your VMs. This is especially handy if you run Virtual Machines on your notebook. My guess would be, that this could also be used on server for battery support and automatic shutdown. To enable the feature inside the Virtual Machine you have to create a Prerelease Virtual Machine using PowerShell. 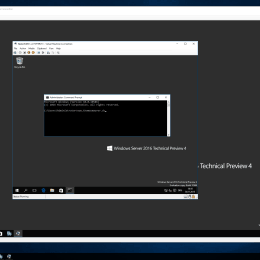 You can use the following PowerShell command to create a Prerelease Virtual Machine. Please remind yourself that prerelease virtual machines are not supported in production and may fail across updates. You can now see that the Virtual Machine now has version number 254.0, which adds some hidden new features like virtual battery support. My guess is that this could be available automatically per default in all virtual machines in the final version of the Windows 10 Fall Creators Update. Microsoft today announced the public preview of disaster recovery for Azure IaaS virtual machines. 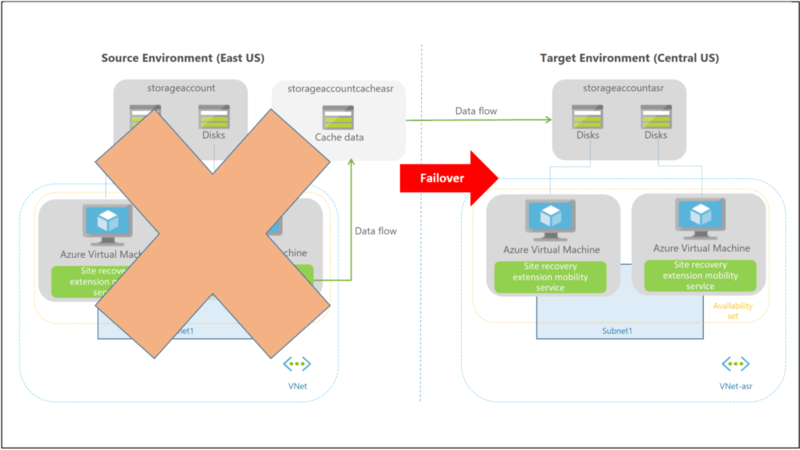 This is basically Azure Site Recovery (ASR) for the Azure-to-Azure scenario. With that you can replicate Azure virtual machines from one Azure Region to another Azure Region, without deploying any other infrastructure components such as software appliances. 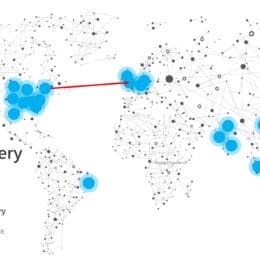 Cross-region DR feature is now available in all Azure public regions where ASR is available. Your compliance guidelines for specific apps and workloads require a Business continuity and Disaster Recovery (BCDR) strategy. You want the ability to protect and recover Azure VMs based on your business decisions, and not only based on inbuilt Azure functionality. You need to be able to test failover and recovery in accordance with your business and compliance needs, with no impact on production. You need to be able to failover to the recovery region in the event of a disaster and fail back to the original source region seamlessly. 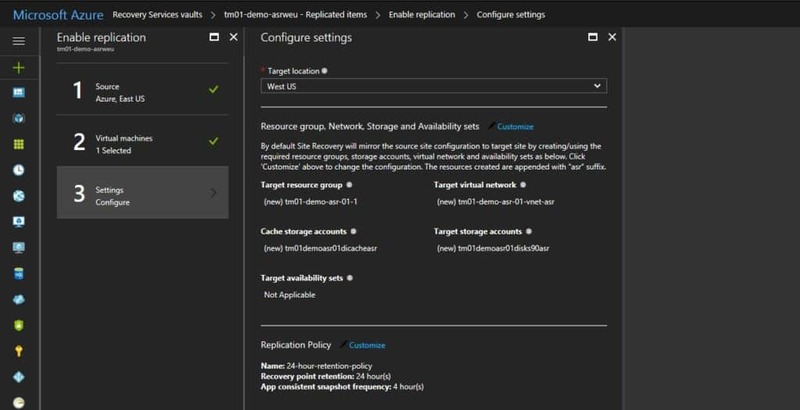 Azure to Azure VM replication using Site Recovery helps you to do all the above. To set this up you have to create an Azure Recovery Vault. This Recovery vault cannot be in the same region as the source virtual machines, because if the region is down, you will not have access to the vault. Form that you can choose to create a new Replication and select the virtual machines you want to replicate. You can select the virtual machines you want to replicate. At the end you choose the target location and create the needed target resources and start the replication. This will now allow you to failover you virtual machines to another Azure region. 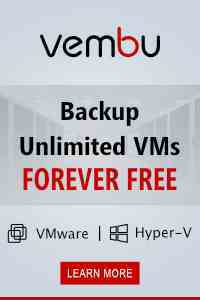 There are some limitations right now, like no support for managed disks or limited operating system support. Check out the Azure Site Recovery support matrix for replicating from Azure to Azure for more support information. Well I was working in on a Private Cloud Deployment where we had some temporary storage for our Hyper-V Virtual Machines and after we got the right storage ready, which was btw a Windows Server Scale-Out File Server Cluster running with Storage Spaces and DataON JBOD chassis, we had to migrate the storage of all virtual machines running on our Hyper-V hosts. 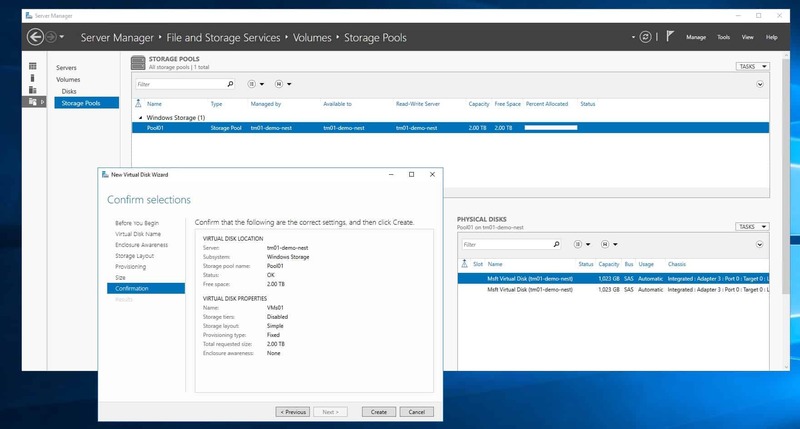 Since Windows Server 2012 offers Live Storage Migration which allows us to move the Virtual Machine to a different storage location without downtime we would use that. But if you have to move around 20 virtual machines you think twice if you want to move that via the Hyper-V Manager GUI or Windows PowerShell. Here is a pretty simple PowerShell foreach loop which moves the storage of all virtual machines running on the Hyper-V host.